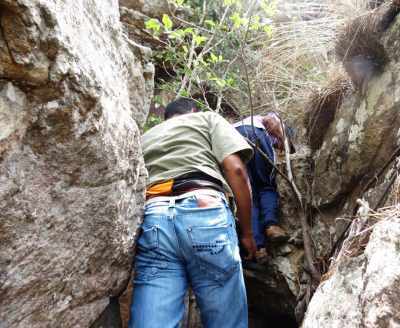 Carry at least one liter of water per person as no water sources up to the summit. 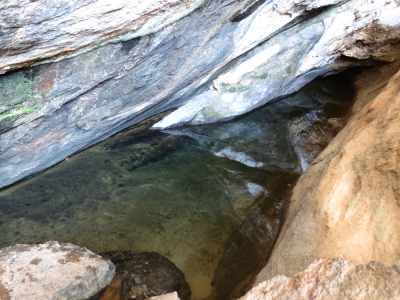 Even at the summit we could only find one small pond filled with water. But good for drinking purpose. 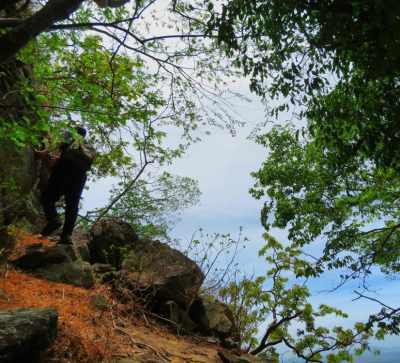 Avoid in rainy days as climbing up would be difficult. 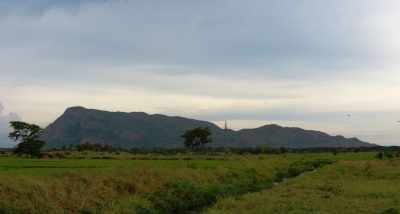 Rainy season to this area is from November to February. 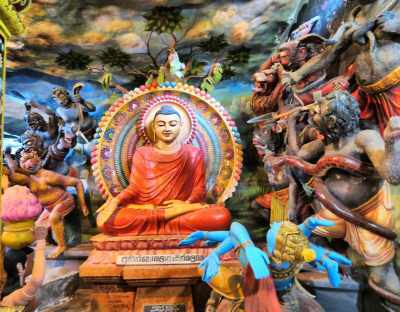 Avoid in poya days and public holidays as it would be full of devotees. 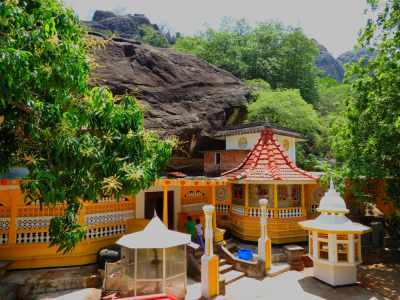 Discuss with the chief priest of Namal Pokuna temple. He is knowledgeable. Can use public transport system easily. 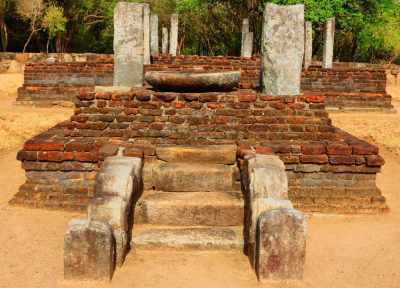 Dimbulagala is a main religious attraction at Polonnaruwa. 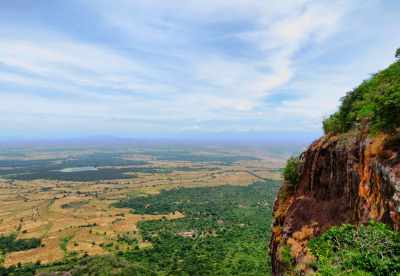 It is 534.5m high rock range situated 12miles from Polonnaruwa. 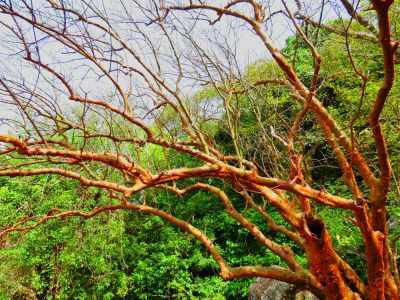 Old literature mentions it as “Udumbaragiri” (උදුම්බරගිරි). Udumbara means wood apple. 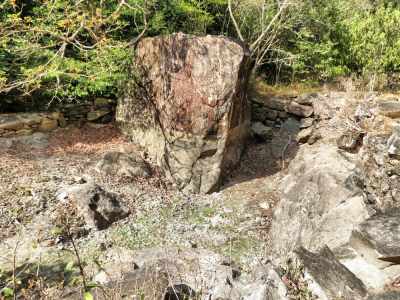 Because the rock is having large number of wood apple trees called “Udumbaragiri”. 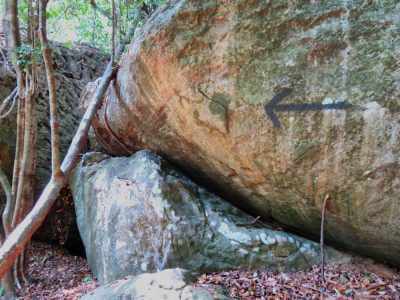 Later it became Dimbulagala. “Dimbul” (දිඹුල්) means wood apple. 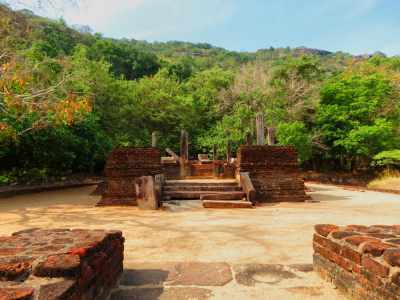 The history goes back before arrival of Prince Wijaya (විජය කුමාරයා). 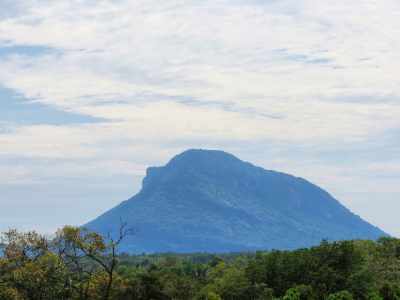 Dimbulagala was a center of Yaksha community (යක්ෂ ගෝත්රිrකයෝ). 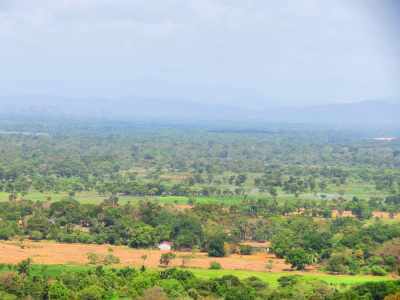 Their main village was the Yakkure (යක්කුරේ) which was situated close to Dimbulagala. 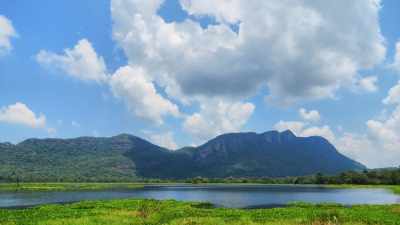 Once they have lost “Sheershawasthupura” (ශීර්ෂවස්තු පුර)-main Yaksha city of Sri Lanka where Kuweni (කුවේණි) belongs, they migrated here to join with Yaksha people here. 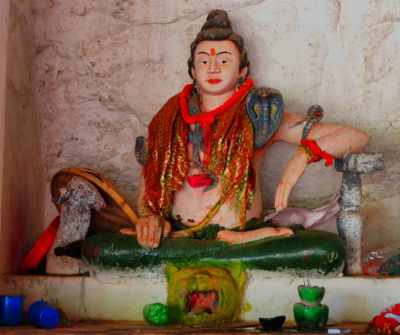 Another female Yaksha leader called Chethiya (චේතිය) who lived at Dimbulagala has helped Prince Pandukabhaya (පණ්ඩුකාභය කුමාරයා) to capture Sinhala Kingdom. 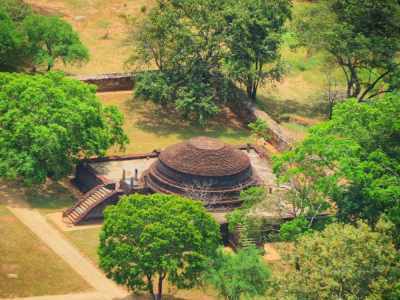 Literature says Prince Pandukabhaya has lived here about 4 years. 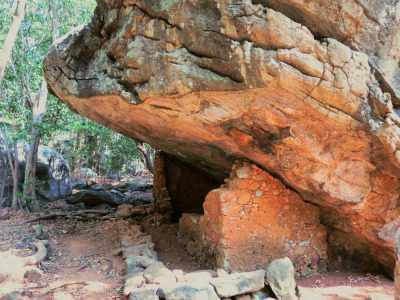 The Prince Mutaseewa (son of King Pandukabhaya) (මුටසීව කුමාරයා) has born at Dimbulagala cave and later became the King of Anuradhapura. 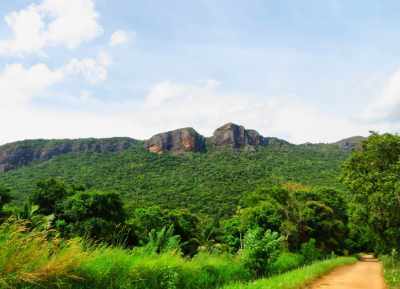 King Dewanmpiyathissa (දේවානම්පියතිස්ස රජතුමා) was the son of King Mutaseewa. 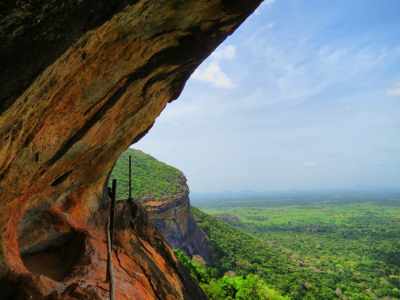 King Dewanmpiyathissa has built temples all over the island for priests and he offered Dimbulagala cave to priests. 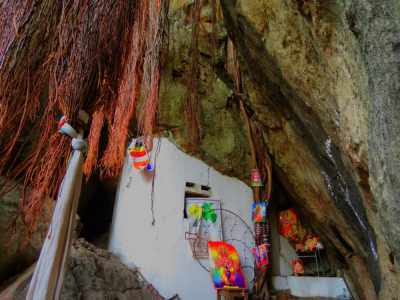 Kuththagaththathissa Arahath Thero (කූතගත්තතිස්ස රහතන් වහන්සේ) has lived here till his death. 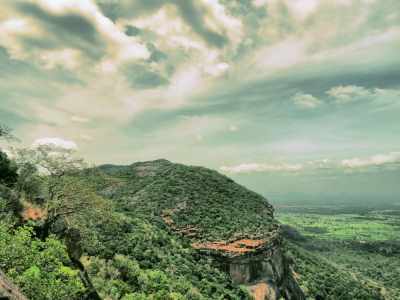 Therefore King Walagamba (වළගම්බා රජතුමා) has built number of temples at Dimbulagala for Kuththagaththathissa Thero. 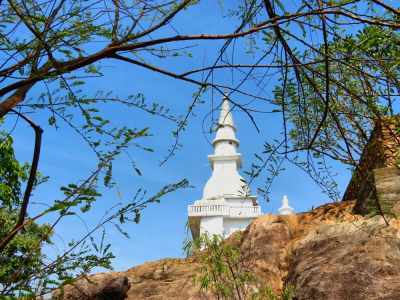 Maliyadewa Thero (මලියදේව රහතන් වහන්සේ)-The last Arahath Thero of Sri Lanka has preached Megawarna story (මේඝවර්ණ කතාවස්තුව) here. 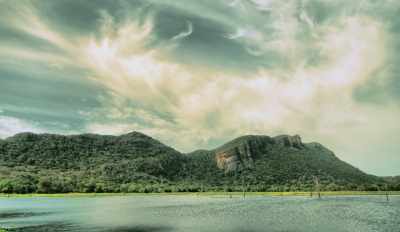 Then he also lived at Dimbulagala for a long time. 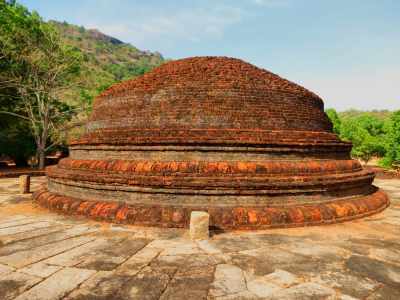 At the time of Pollonnaruwa kingdom (The time of King Wijayabahu I) Dimbulagala has become a Buddhist educational center. 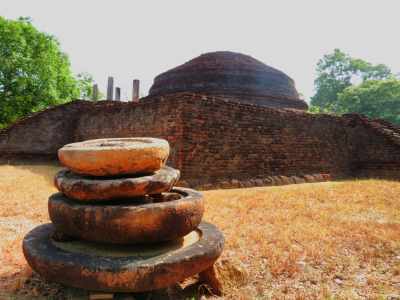 It was a popular place among Buddhist world. 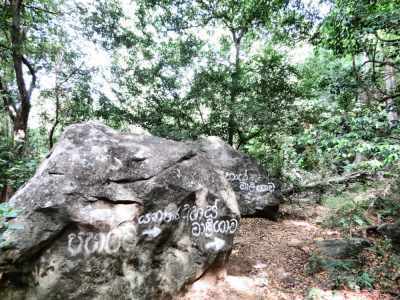 The great King Parakramabahu (මහා පරාක්ර මබාහු රජතුමා) has divided priests of Dimbulagala into two groups. 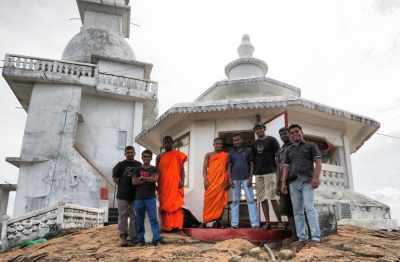 One group was who were doing Buddhist religious activities (Grantha Dhooraya) ග්රtන්ථ ධූරය. 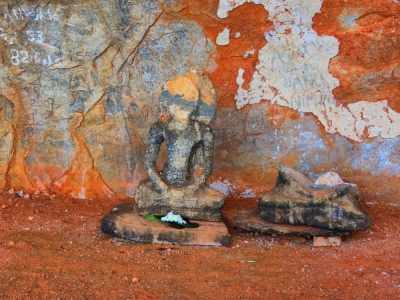 Other one is doing meditation (Widarhsana Dhooraya) විදර්ශනා ධූරය. 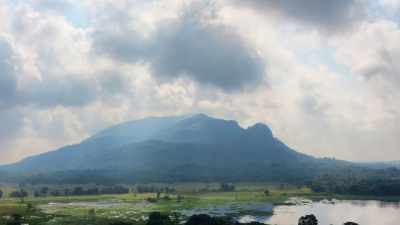 The area called Namal Pokuna (නාමල් පොකුණ) in Dimbulagala was allocated for priests of Grantha Dhooraya. 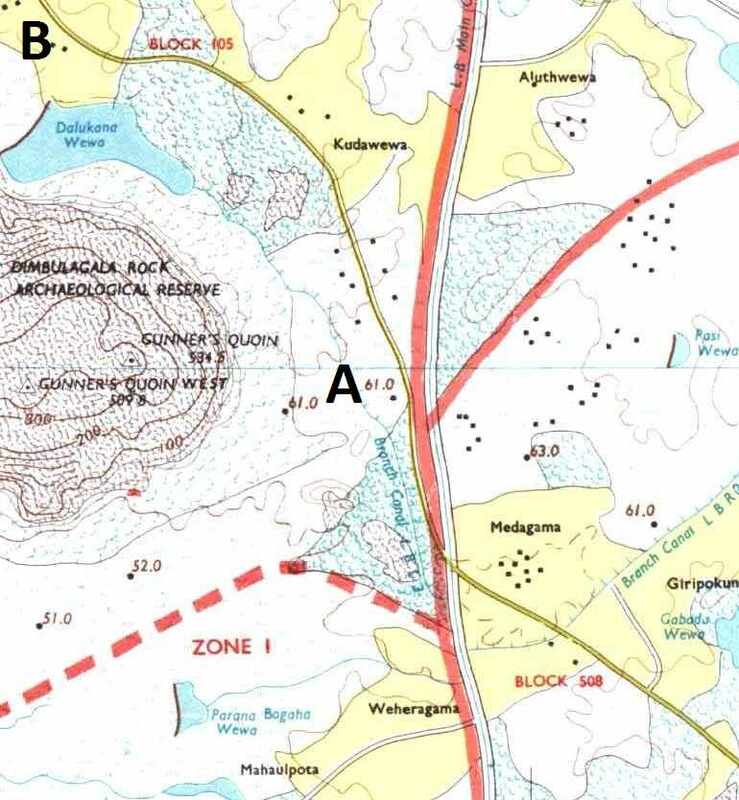 Then the area of Mara Weediya (මාරාවීදිය) was allocated for Widarhsana Dhooraya. 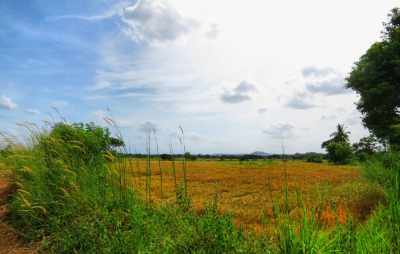 He offered a large area of paddy fields for the purpose of all these priests. There was a paint in Mara Weediya showing sun and moon. 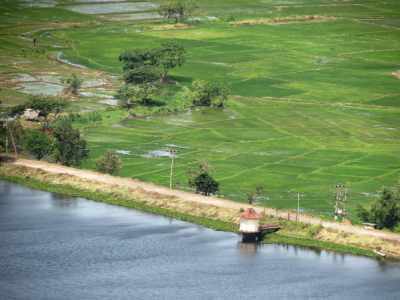 It means if someone uses these paddy fields for his purpose, they would be born as dogs and craws till sun and moon persists. 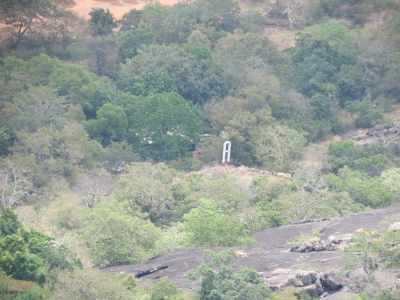 Current refreshment of Dimbulagala temple was initiated due to Ven. Kithalagama Seelalankara Thero (කිතලගම සීලාලoකාර හිමි) who was shot dead on August 08, 1995 by L.T.T.E. 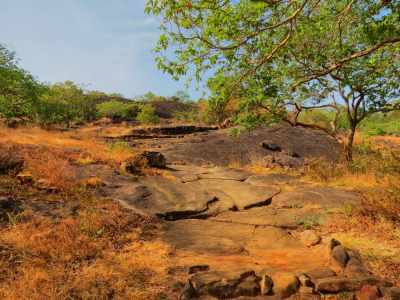 Ruins and expedition of Dimbulagala can be divided into three. 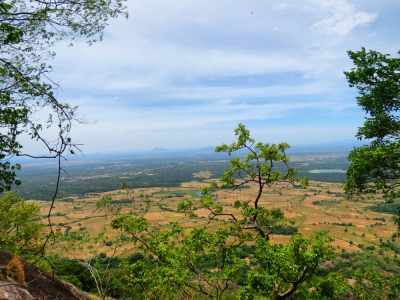 Climbing of Sinha gala (සිoහ ගල)-Highest point of the rock range. 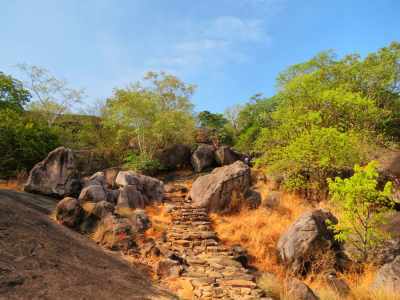 To reach Namal Pokuna, Akasa Chaithya, Mara Weediya and Herbal ponds you don’t need a guide as foot pathways and steps can be seen clearly. 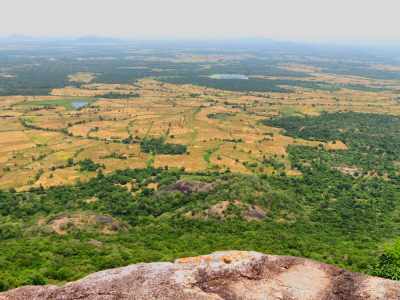 For Sinha gala expedition needs a guide. 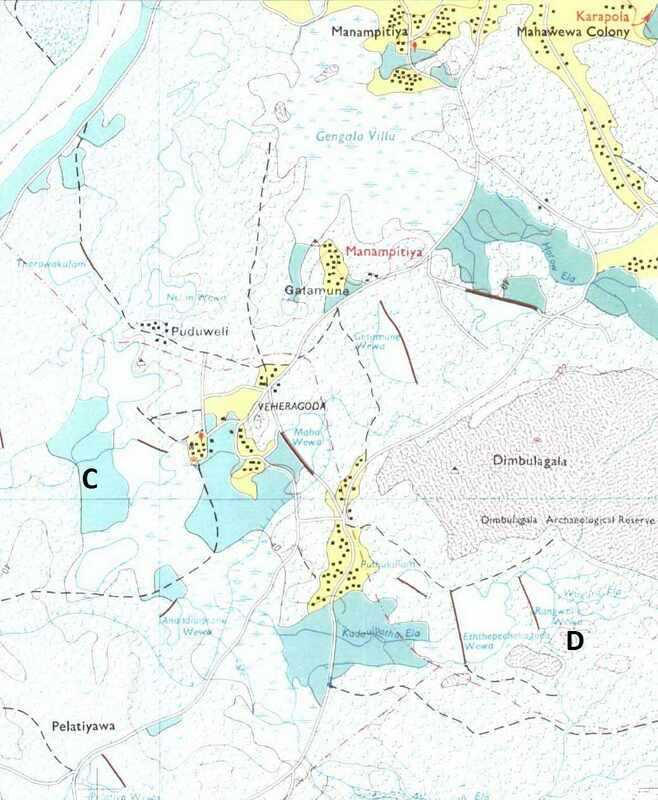 Here I tried to connect two parts of the map to show Dimbulagala range as one. Unfortunately lines are not overlapping. 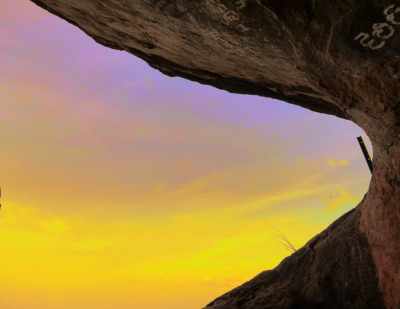 Different views of the rock from different places are given below. I started the journey in the early morning with two of my colleagues and two of our staff members (One of them arranged everything for the tour-Thanks for him). 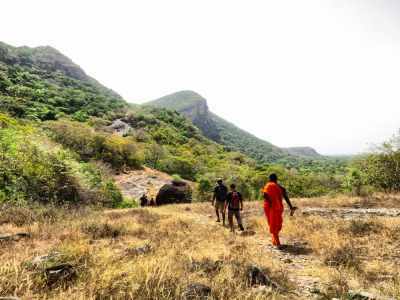 Two Buddhist priests from Dimbulagala temple also joined with us and another villager also came. 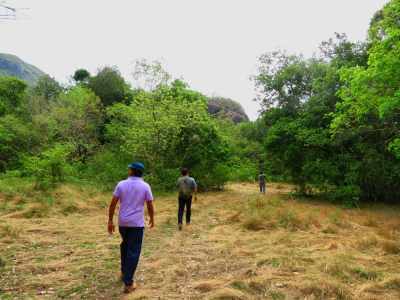 We started from Dimbulagala temple towards Mara Weediya and Herbal ponds. 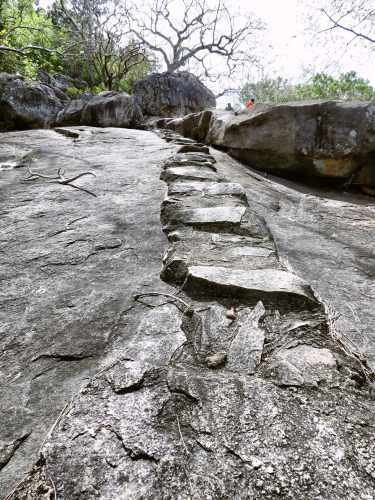 Foot pathway and steps on the rock can be traced nicely. 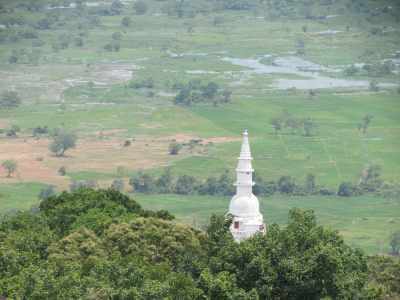 Surrounding view from Mara Weediya was fascinating. 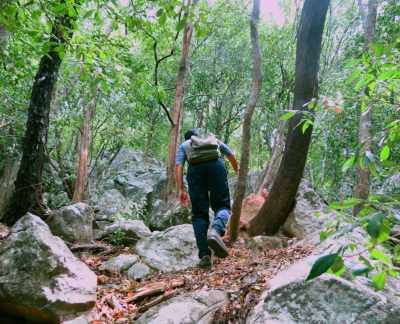 Heading to Herbal ponds and Mara Weediya. 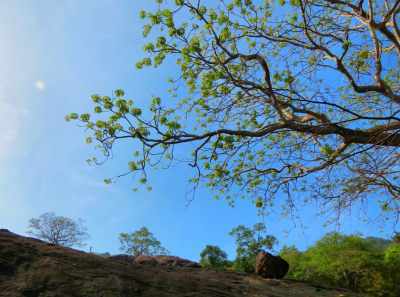 Leafless tree. 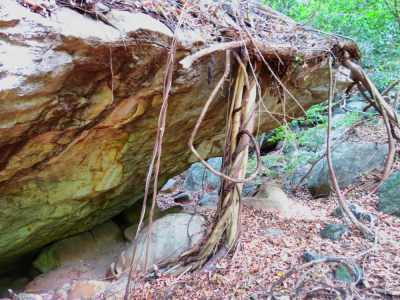 This is a Gal Siyambala tree. Common in this area and would be full in another 2-3 months. 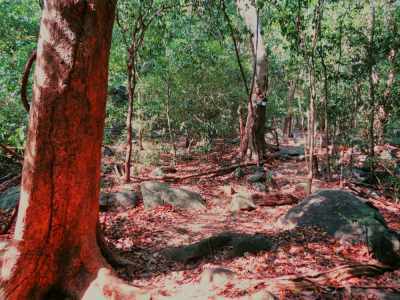 Foot pathway in the dry zone forest. 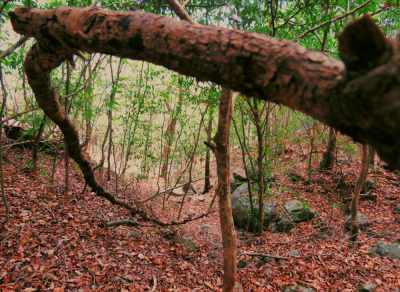 Foot pathway towards Ahas Maligaya/ Akasa Chaithya. We followed the one to Herbal ponds and Mara Weediya. 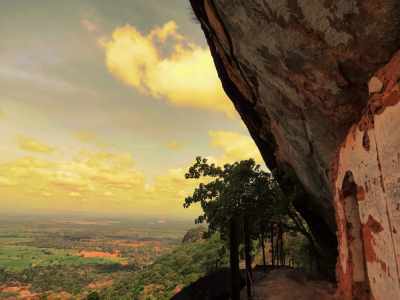 One place in the middle part of the rock facing to south west / south direction called Mara Weediya. Nobody knows the exact reason for this name. 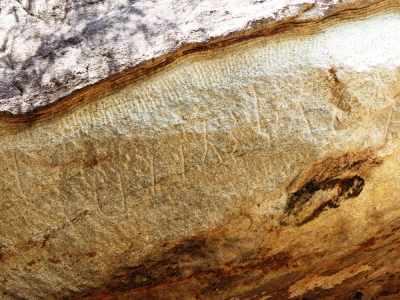 Some archeologists believe Mara means Pandya (පාණ්ඩ) people. 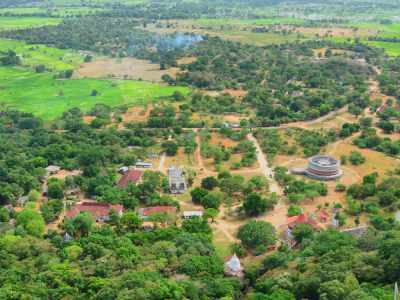 Dimbulagala was an international Buddhist center during Pollonnaruwa era. 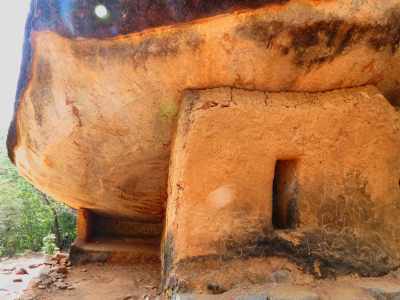 Therefore Kalinga people and Pandya people were also there. 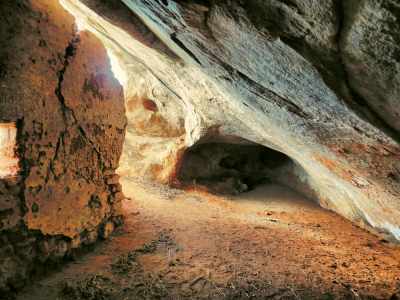 According to the literature there were two caves called Sanda Maha Lena and Hiru Maha Lena. 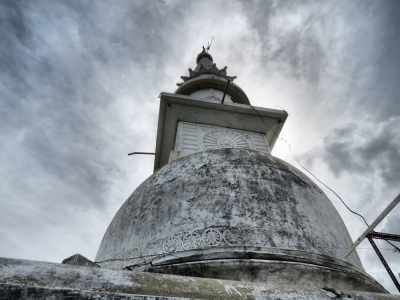 The queen of King Wickramabahu 1(පලමුවන වික්‍රමබාහු රජතුමා)-Sundara Maha Dewiya (සුන්දර මහා දේවිය) has seen the difficulties devotees had in going from one cave to another by using ropes etc. 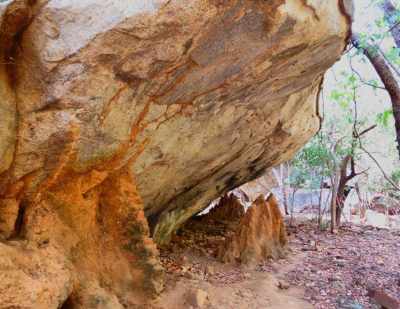 Then she renovated these two caves and called it Kalinga Lena (කාලිoග ලෙන) (Because of Kalinga people) and the pathway called Mara Weediya (Because of Pandya people). 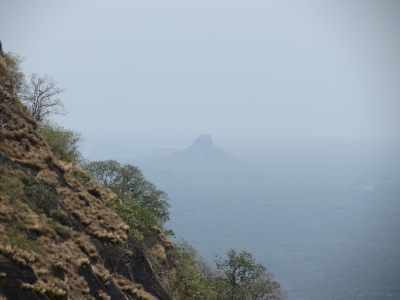 View of Sinhagala from Mara Weediya. Now they have placed an iron fence there for safety. 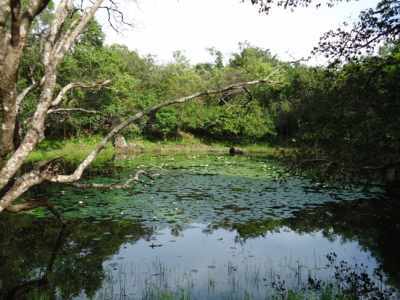 One of two herbal ponds. Wadda people have used this name “Herbal pond” as meditating priests had used these ponds. Herbal pond 2. 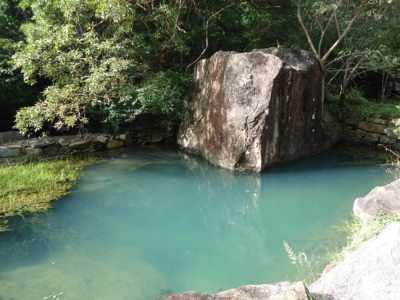 It is a perennial pond and diseases are cured by drinking water of it. 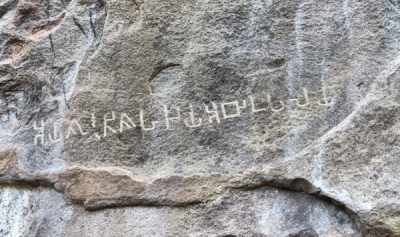 Stone inscription found at Mara Weediya. 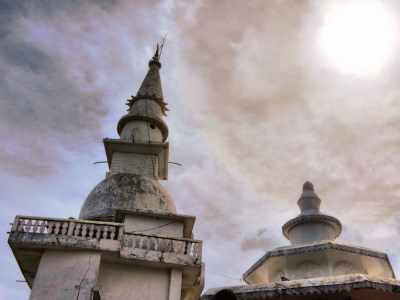 It mentions Sundara Maha Dewiya (Queen of King Parakramabahu) has constructed a lot of temples for Buddhist priests and offered them in a Poson full moon day. 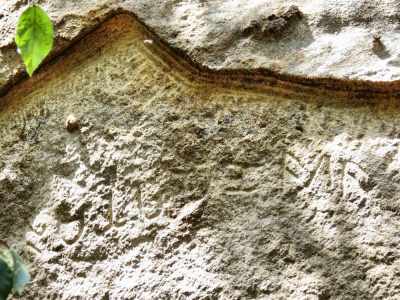 Another Brahami inscription found at Mara Weediya. 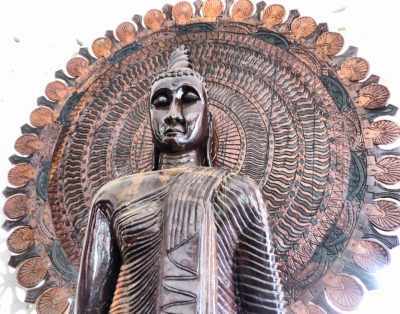 Ancient Buddha statue. 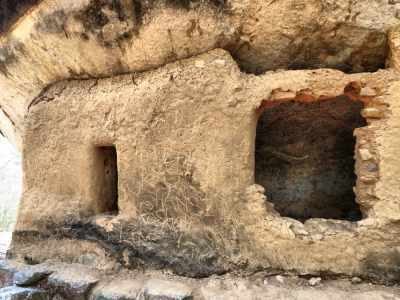 Note the plaster on wall of the cave. 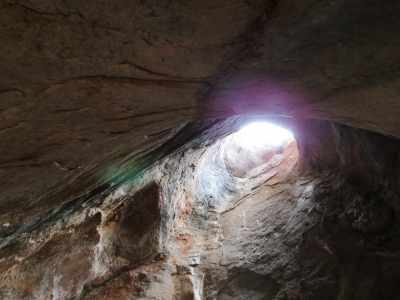 According to the literature paintings were there. 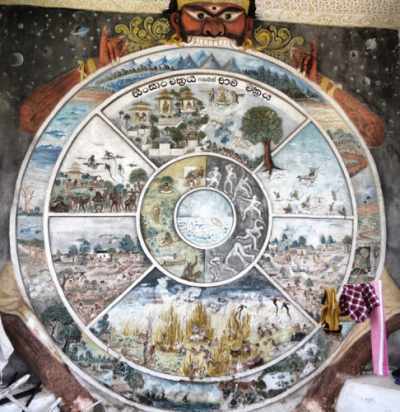 These paintings were destroyed by a person few decades ago. I couldn’t see any paintings. 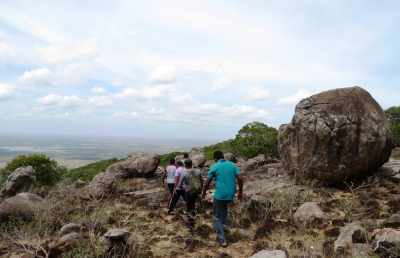 After enjoying the fascinating view from Mara Weediya, We wanted to climb up to get a good view of nearby area. Therefore we went up and found a higher point of the range. 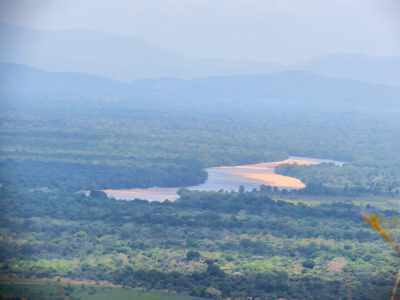 Longest river of Sri Lanka-Mahaweli River at Manampitiya area. 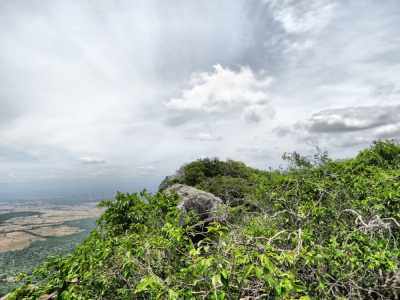 Then we walked towards another higher point of the rock range closer to the Ahas Maligaya called “Tower Kanda” (ටවර් කන්ද)-because of a telecommunication tower which is no longer functions. 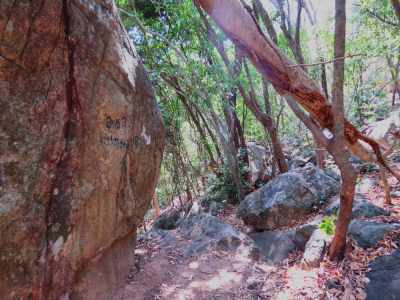 Then we climbed down to the route we came and went to Akasa Chaithya. Covered only half of it…. 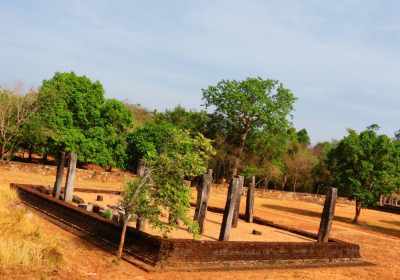 Ancient Dimbulagala temple was situated at Namal Pokuna area. 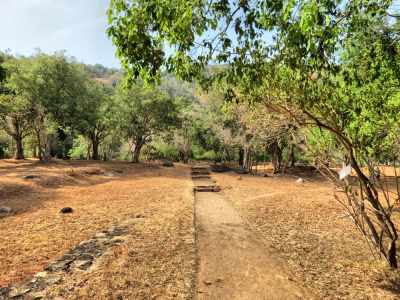 As I mentioned earlier during King Great Parakramabahu period this part of Dimbulagala was allocated for priests who are doing religious activities. 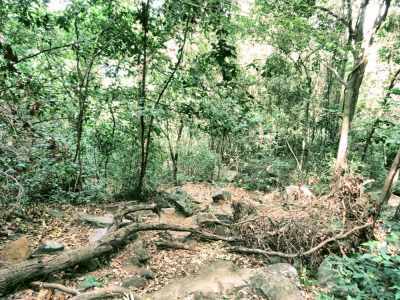 Nowadays a lot of ruins can be seen at this area. 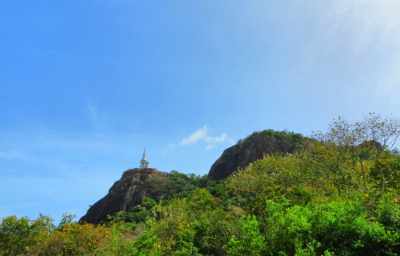 You can climb up to Akasa Chaithya from Namal Pokuna temple. 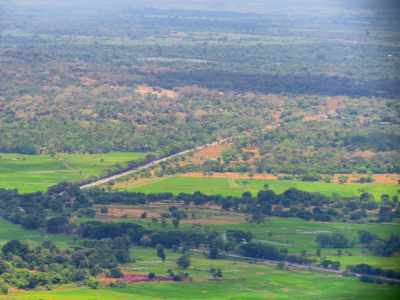 Then you will meet the same road towards herbal ponds and Mara Weediya on your way. 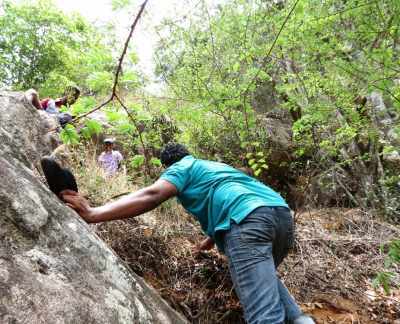 Climbing is easy from this side compared to previous pathway. 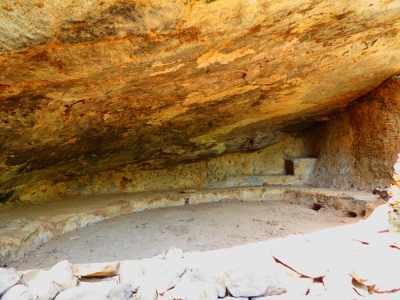 Should appreciate the work of archeology officers for preserving and maintaining this site. 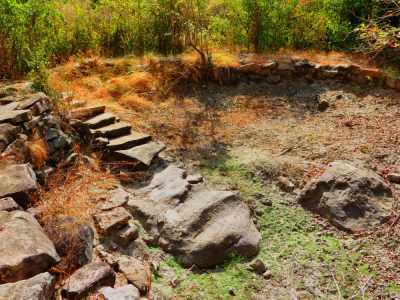 The foot pathway on right hand side of the archeology site will bring you towards Akasa Chaithya. 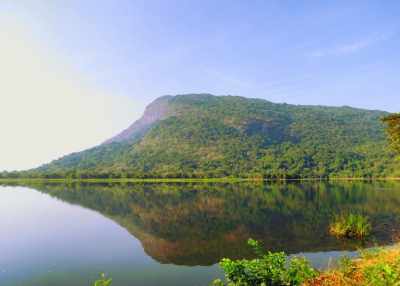 The pond next to archeology site. This picture was taken two years ago. 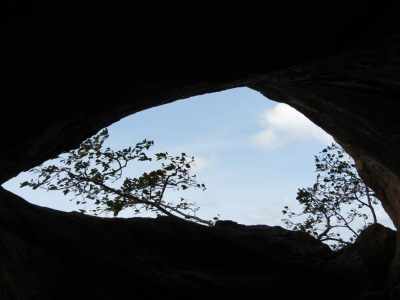 You will come across 5-6 caves on your way to Akasa Chaithya. 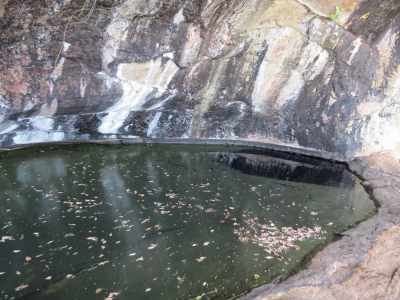 Main cave out of these is the “Kashayapa Lena” (කාශයප ලෙන) where Dimbulagala Kashayapa Thero (දිඹුලාගල කාශයප හාමුදුරුවෝ) stayed. 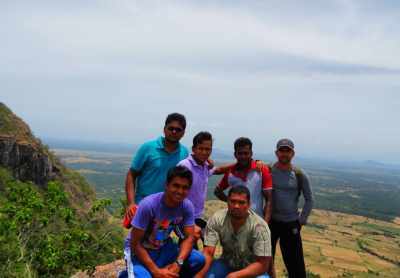 “Nil Diya Pokuna” (නිල්දිය පොකුණ)-picture taken 2 years back. 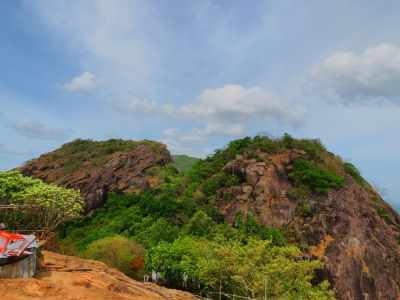 Sinhagala is the highest point of this rock range. 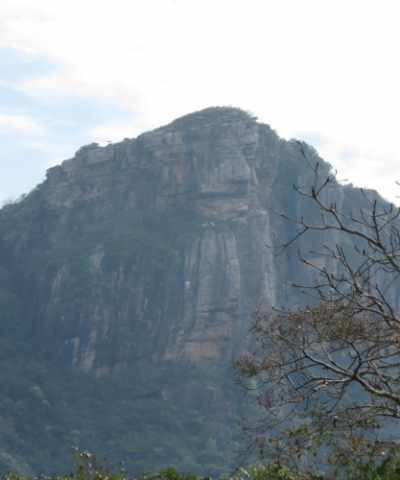 As this part of the rock is viewed as a face of lion, it is called Sinhagala. This was the long awaited day for me. 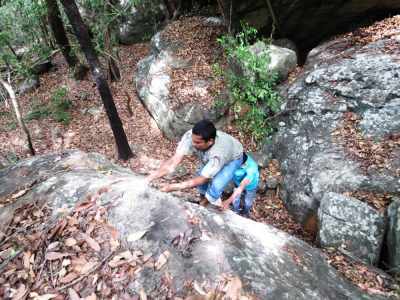 We decided to conquer Dimbulagala peak from Millana side. Six people gathered for this journey and we started it around 9.30am following our breakfast. 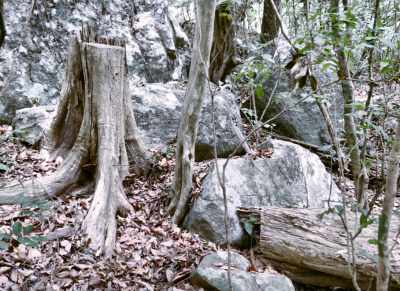 Typical dry zone forest. Better wear a pair of shoes as there are ample of stones on the ground. The journey was moderate strenuous. 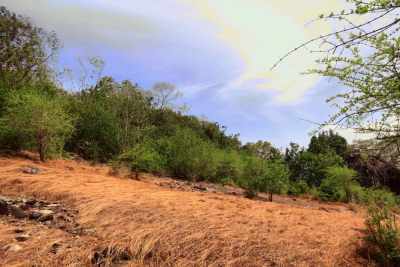 After about 500m of walk, the foot pathway was disappeared. 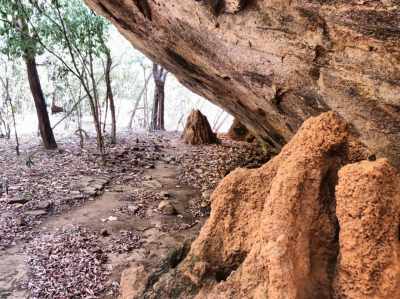 We had to walk through typical dry zone forest with underlying rock formation. 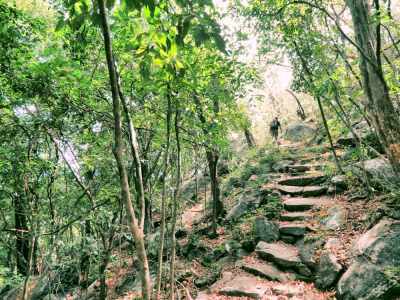 Total climb was about 3-4kms and after 2hours we reached a point which is somewhat lower than the highest point. One of a great moment of the journey. Batticalo side after climbing of some distance. He is trying to get on. 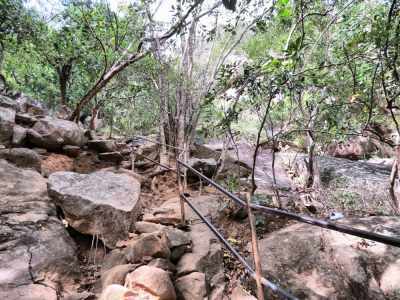 As this was the dry season we didn’t come across any water source till we get on to this place. There was a small pond filled with water (most probably rainy water). This place was good as a view point. 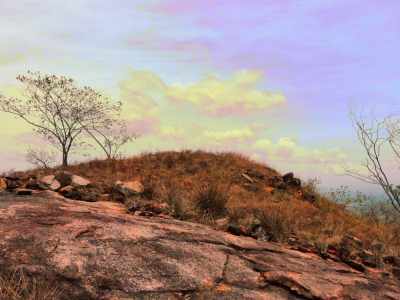 After having a brief rest there we walked towards the highest point where you may not have a good surrounding view. Any way none of these points will provide you a panoramic view. 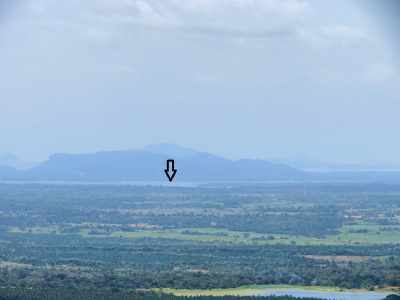 Z Lake from Maduru Oya, Dimbulagala Lake can be seen in north. 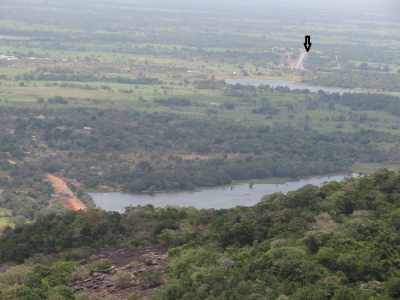 Mahawali River, Parakrama Samudrya can be seen in west. 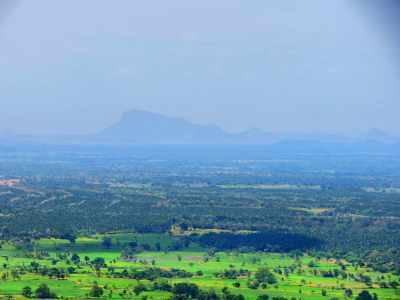 Knuckles mountain range can be seen beyond this. 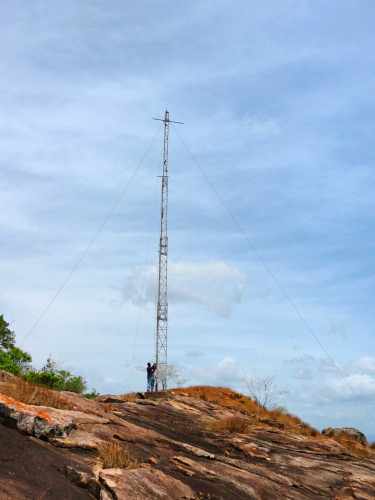 The highest point of Sinhagala-But it is not a good view point due to surrounding trees. Return journey was easier and we completed it by 1hour but not through the same route. 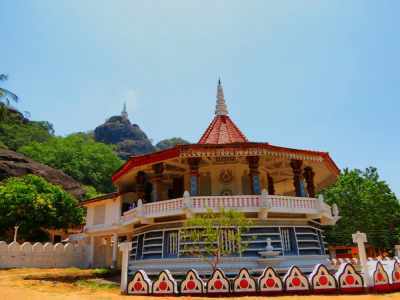 Dimbulagala new temple is the main tourist attraction now. Therefore the report about Dimbulagala is not completed without mention it. Statue of Ven. 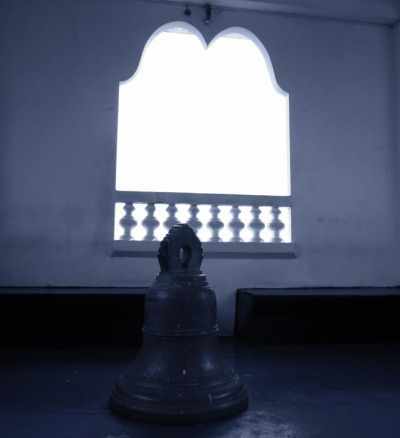 Kithalagama Seelalankara Thero. He is the hero behind all these development of Dimbulagala. We wouldn’t discuss about this place if he didn’t arrive there. Ven. Seelalankara Thero was shot dead by terrorists in 1995. 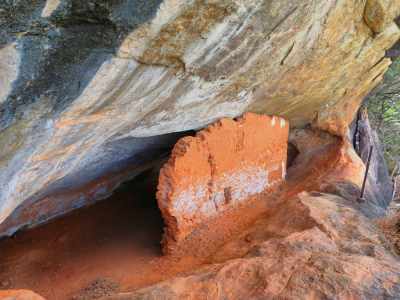 This cave was offered to Seelalankara Thero by Wadda community once he came here. Then it was converted to an image house. 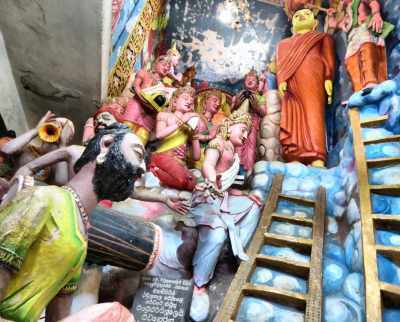 Beautifully painted statues inside the image house. 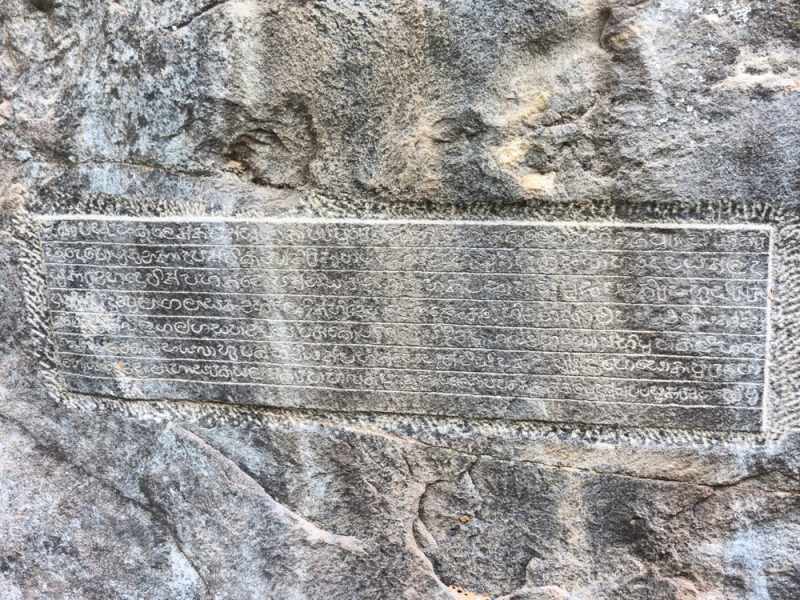 This indicates “Mara Parajaya” මාර පරාජය. 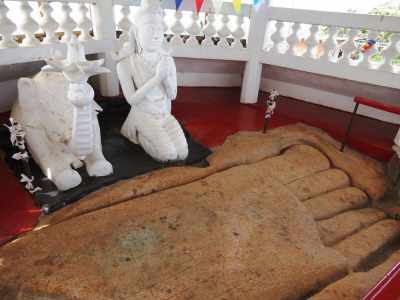 There are several wooden Buddha statues made by priests of Dimbulagala hermitage. 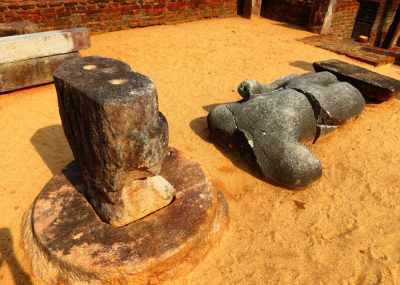 These Buddha statues can be seen in Dalada Madura. 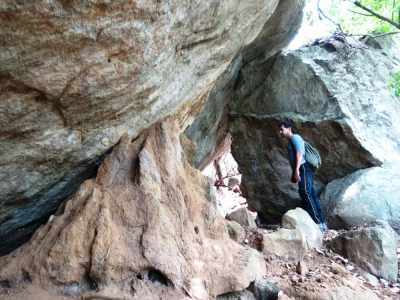 “Saptha Maha Dewala” සප්ත මහා දේවාල is also another common tourist attraction. 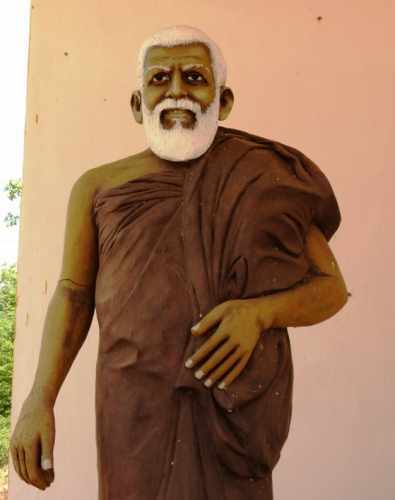 You can see seven Dewala here. 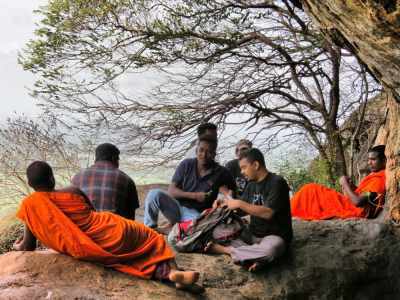 Thank you very much for coming for Dimbulagala pilgrimage.